1748 Bakehouse a gathering place for the community. The physical community but also something bigger. 1748 Bakehouse an inviting welcoming bakery & restaurant in the Historic Springfield neighborhood of Jacksonville, FL. 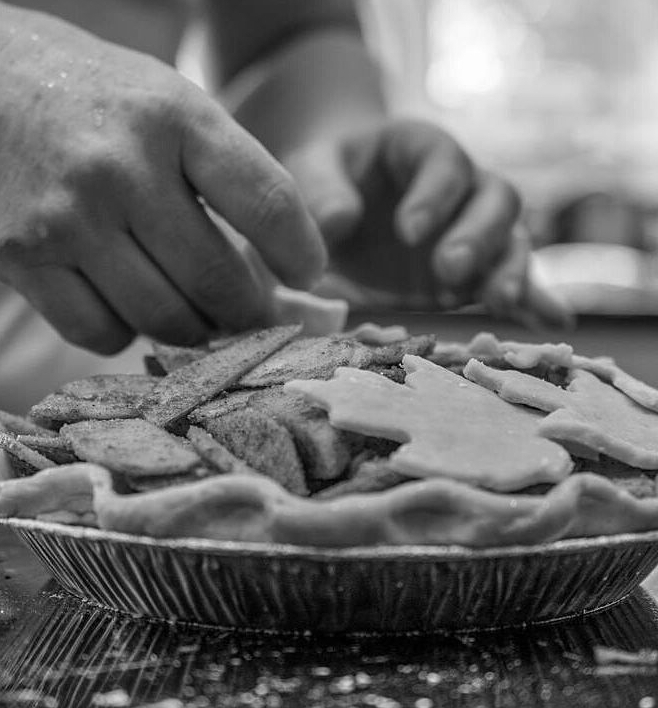 Each day, we will serve pies, slow ferment sourdough, breakfast and lunch, weekend dinner and brunch. The menu at 1748 is made up of extraordinary combinations, inspired by world flavors, and constantly changing to honor the local food ways of Northeast Florida. Our combinations start with local farmers, instead of ordering produce to accommodate a set menu we ask what the farmers have growing that week and start from there. We endeavor to push the limits of our creativity while bringing you long standing favorites and traditional baking methods to our loyal customers and first timers alike. We bake daily most often collaboratively. We are eager to learn and teach. All are welcome in our community, we are intent on making a space for everyone to be comfortable. Come sit, stay awhile. 1748 Bakehouse aims to celebrate the seasons through our food; to provide consistently delightful, honest, and imaginative plates. We embrace the Slow Food Movement of Good- Clean- Fair. We are proud to put people over profit, community over exclusivity and the earth over convenience. We hope you'll join us in building something beautiful together. A community space for celebrating everything from first birthdays to first dates to finishing a term paper and all the day's inbetween.